After the success of last year’s community projects, our group Cudworth Businesses & Community Together is now looking forward to 2019 and we’ve lots of great events and initiatives planned already. Cudworth Businesses & Community Together’s mission is “To make Cudworth a better place to live, work and prosper”. 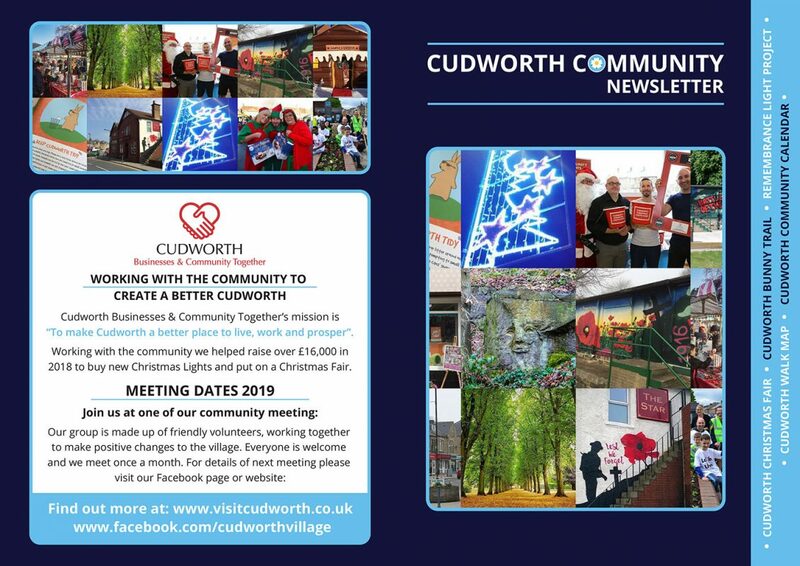 Working with the community and Cudworth Ward Alliance we helped raise over £16,000 in 2018 to buy new Christmas Lights and put on our 2nd Cudworth Christmas Fair. The Reta Award nominated Cudworth Bunny Trail will return this summer and we hope to build on special mention in the Rising Star category in Great British High Street Awards 2018 . We’d like to invite you to next our community meeting details of which can be found at here. Our group is made up of friendly volunteers, working together to make positive changes to the village. Everyone is welcome and we meet once a month. After successfully working with the Cudworth community, residents, businesses, schools, groups, Councillors and the Cudworth Ward Alliance to raise over £16,000 to buy 32 new Christmas Lights for Cudworth high street we’re hoping to add one more light to the village’s collection. A special Solider Remembrance Light to honour all lives lost and affected by war. The light which will take pride of place in the village along side the village’s amazing Christmas Lights. Fancy yourself as a bit of a photographer? Then we want your help. To help raise money towards our Cudworth community projects and show the world how beautiful Cudworth and the surrounding areas are, we are producing a Cudworth Calendar which will you’ll be able to buy in Autumn 2019. 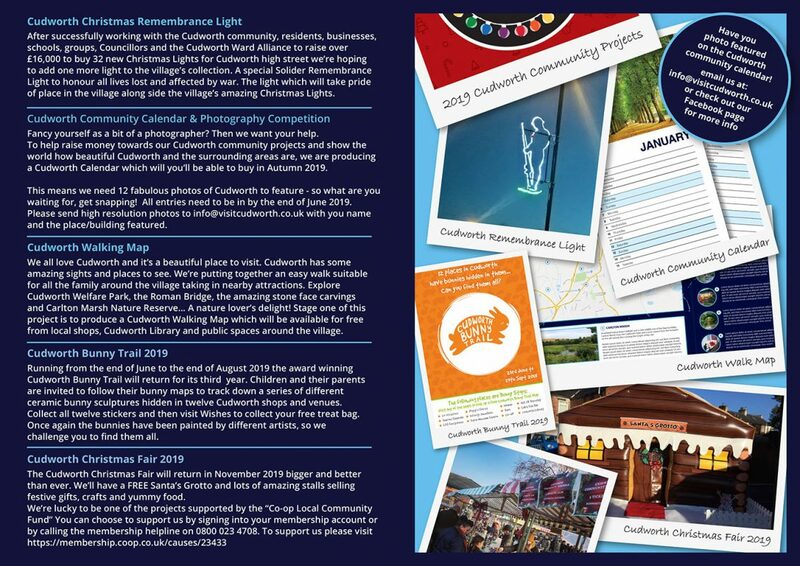 This means we need 12 fabulous photos of Cudworth to feature – so what are you waiting for, get snapping! All entries need to be in by the end of June 2019. Please send high resolution photos to info@visitcudworth.co.uk with you name and the place/building featured. More details on how to enter can be found here. We all love Cudworth and it’s a beautiful place to visit. Cudworth has some amazing sights and places to see. We’re putting together an easy walk suitable for all the family around the village taking in nearby attractions. Explore Cudworth Welfare Park, the Roman Bridge, the amazing stone face carvings and Carlton Marsh Nature Reserve… A nature lover’s delight! Stage one of this project is to produce a Cudworth Walking Map which will be available for free from local shops, Cudworth Library and public spaces around the village. Running from the end of June to the end of August 2019 the award winning Cudworth Bunny Trail will return for its third year. Children and their parents are invited to follow their bunny maps to track down a series of different ceramic bunny sculptures hidden in twelve Cudworth shops and venues. Collect all twelve stickers and then visit Wishes to collect your free treat bag. Once again the bunnies have been painted by different artists, so we challenge you to find them all. 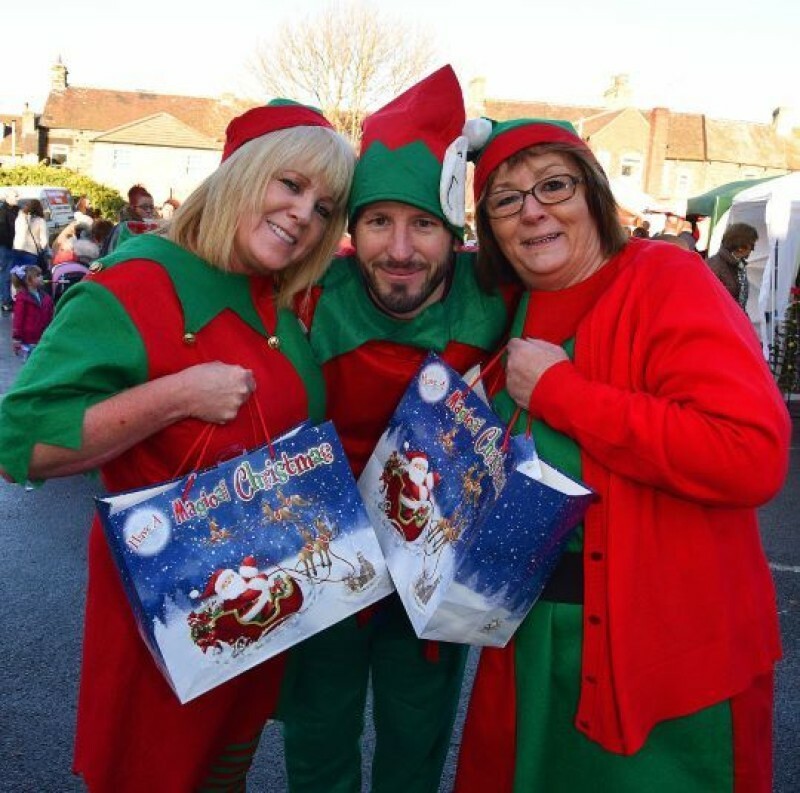 The Cudworth Christmas Fair will return in November 2019 bigger and better than ever. We’ll have a FREE Santa’s Grotto and lots of amazing stalls selling festive gifts, crafts and yummy food. This entry was posted in Cudworth News. Bookmark the permalink.